Work is underway to upgrade the RMIT Bundoora stop on Route 86, as the Andrews Labor Government’s latest improvement to safety and accessibility for the thousands of passengers using Melbourne’s tram network. The upgraded tram stop at the corner of Plenty Road and McKimmies Road is the next step in providing better access to Melbourne’s tram network for people with mobility needs, parents with prams and the elderly. Major works began on the RMIT Bundoora stop last night, with the new level access centre island design incorporating improved lighting, CCTV, and better facilities including shelters, seating and passenger displays. The upgraded stop will include tram crossover and dual tram tracks, allowing trams to change direction more easily, improving tram punctuality and operational efficiency. Buses will replace trams on sections of Route 86 between Stop 55 and Stop 71 from today until the last tram Sunday 10 February 2019. The upgraded tram stop will reopen at 5:00am Monday 11 February. Planning is also underway for accessibility upgrades for another 11 tram stops around Melbourne this year. Three stops on Route 96 along Nicholson St – which were previously blocked by the Moreland City Council will be upgraded in May – with another six to follow in the second half of the year. Currently 70 per cent of Route 96 is already fully accessible, with the upgraded stops improving access to major health, education, shopping and tourist destinations and connections to other modes of public transport. Two accessible stops are also being planned along William Street on Route 58. The upgraded stops, near Flagstaff Station and at the intersection with Bourke Street, will improve access to the Parkville Hospital Precinct and better connect passengers with low floor trams on Routes 86 and 96. These platform upgrades are all part of the Government’s plan to modernise and improve Melbourne’s tram network for all passengers and go hand in hand with the ongoing roll out of 90 E-Class trams – the biggest and most accessible on the network. 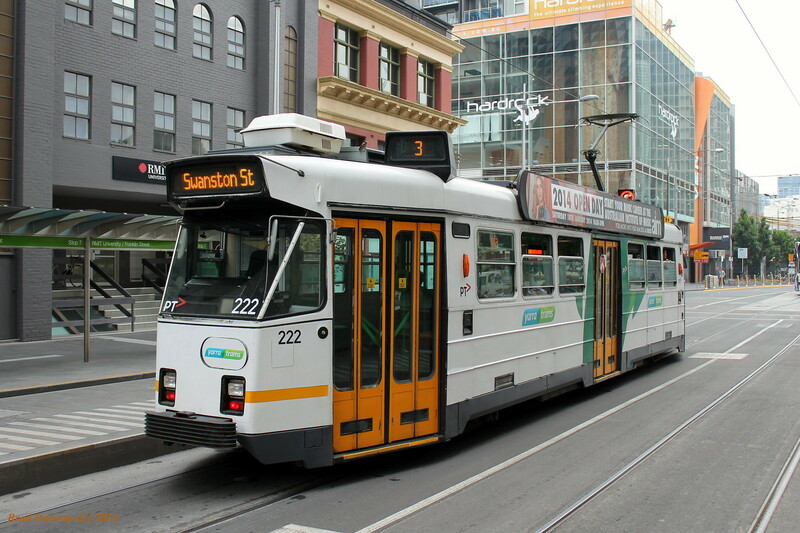 Details about the projects, and the disruption to Route 86 trams is available at ptv.vic.gov.au.